There is not a single metric of health or health care that the Graham-Cassidy plan—co-sponsored by Senator Lindsey Graham, of South Carolina—makes better. The fundamental thing to understand about Senate Republicans’ latest attempt to repeal Obamacare is that the bill under consideration would not just undo the Affordable Care Act—it would also end Medicaid as we know it and our federal government’s half-century commitment to closing the country’s yawning gaps in health coverage. And it would do so without putting in place any credible resources or policies to replace the system it is overturning. If our country enacts this bill, it would be an act of mass suicide. In my surgery practice in Boston, I see primarily cancer patients. When I started out, in 2003, at least one in ten of my patients was uninsured. Others, who had insurance, would discover in the course of their treatment that their policies had annual or lifetime caps that wouldn’t cover their costs, or that they would face unaffordable premiums going forward because they now had a preëxisting condition. When he was governor of Massachusetts, it was Mitt Romney, a conservative, who brought Republicans and Democrats together to make a viable state system of near-universal coverage. That system then served as a model for the A.C.A. The results have been clear: increases in coverage have markedly improved people’s access to care and their health. For the last four years, health-care costs in Massachusetts have risen more slowly than the national average—while the national numbers themselves have been at historic lows. I have not seen a single uninsured patient—zero—in a decade. And now comes an utterly reckless piece of legislation that would destroy these gains. To review how we got to this point: last spring, the House passed a health-care-reform bill that proposed to hollow out the A.C.A.’s funding, insurance mandates, and protections for people with preëxisting conditions. It was immensely unpopular with the public. The problem was not just that twenty-three million Americans would lose their health insurance if the bill becomes law but also the Republicans’ vision of a health system where insurance with deductibles of five thousand dollars and more, and little or no primary-care coverage, would become the norm. This summer, Senate Republicans failed to secure enough votes to pass a modified version of the House bill. Later, in a dramatic late-night session, the Senate also rejected, by a single vote, a “skinny” repeal bill. That bill would have repealed only the parts of the A.C.A. that required large businesses to insure their workers and all Americans to carry coverage. It would have resulted in a mere sixteen million more uninsured people, according to estimates. 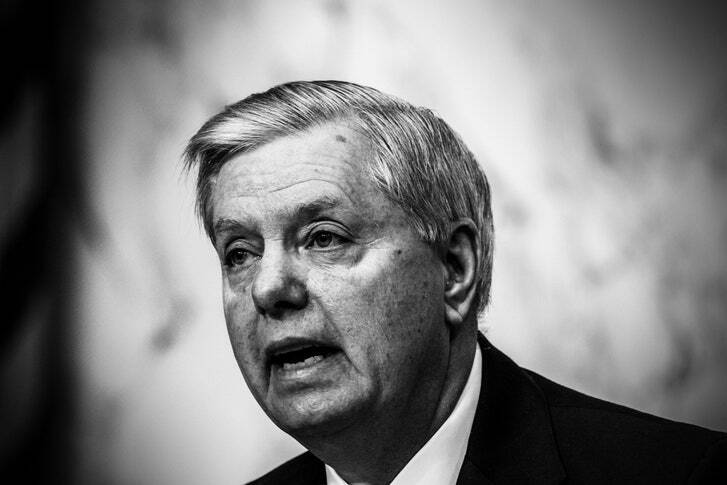 The Republican bill currently being rushed to a vote was put forward by a group of senators led by Lindsey Graham, of South Carolina, and Bill Cassidy, of Louisiana. As has become the apparent rule for Republican health-care bills, there have been no hearings or committee reviews of the Graham-Cassidy bill. And, this time, lawmakers and the public do not even have a Congressional Budget Office analysis of the effects the bill would have on the budget, insurance costs, or the uninsured rate. This is unprecedented: senators are moving ahead with a vote on a bill that would alter the health care of every American family and the condition of a sixth of our entire economy, without waiting to hear any official, independent estimates of the consequences. The irresponsibility is as blithe as it is breathtaking. Before becoming a senator, Cassidy spent twenty-five years working as a physician in hospitals devoted to the uninsured. I find it baffling that a person with his experience would not recognize the danger of this bill. But here we are. The Graham-Cassidy bill goes even further than the bill passed by the House. It would bring to a virtually immediate end not only the individual and employer mandates but also the whole edifice of the Medicaid expansion, insurance exchanges, and income-based coverage subsidies set up under the A.C.A. Graham-Cassidy expects all fifty states to then pass, and implement, alternative health systems for tens of millions of people within two years—with drastically less money, in most states, than the current law provides. This is not just impossible. It is delusional. Like the House bill, Graham-Cassidy would cut Medicaid payments for traditional enrollees—the elderly in nursing homes, pregnant women in poverty, disabled children, etc.—by a third by 2026. A portion of the money saved would go into a short-term fund for states to use for health-care costs. The rationale is that this would give states “flexibility” to design coverage for their residents as they see fit. But the amount of funding provided is, by multiple estimates, hundreds of billions of dollars below what the A.C.A. provides. The bill also nakedly shifts funds from Democratic-leaning states that expanded Medicaid under the A.C.A. to Republican-leaning states that didn’t. Analyses indicate that states like California, Massachusetts, and New York will receive block-grant funding anywhere from thirty-five to almost sixty per cent below the health-care funding their residents would receive under current law. Much of those missing funds would be transferred to states like Texas, Mississippi, and Wisconsin. And special deals to make further shifts from blue states to red states such as Alaska are being negotiated to win votes. As for what states can do with the funds they do receive, they would not be allowed to use them to enroll people in Medicaid, or able to establish a single-payer system. And states would not be receiving enough to continue Obamacare on their own. The only options for spending are for commercial coverage. States will be permitted to let insurers bring back higher costs for people with preëxisting conditions and to reinstate annual and lifetime limits on coverage. And then, starting in 2026, the funding turns out to only be temporary. Under the bill’s provisions, unless further action is taken then, four trillion dollars will be removed from health-care systems over twenty years. With these massive sums being flung around, it is easy to forget that this is about our health as human beings. The evidence is that health-care programs like the A.C.A. save lives. The way they do so is by increasing the number of people who have affordable access to a regular source of care and needed medications. Such coverage has been shown to produce a substantial and increasing reduction in mortality—especially among those with chronic illnesses, such as heart disease, cancer, or H.I.V.—in as little as five years. Virtually all of us, as we age, will develop serious health conditions. A critical test of any health reform, therefore, is whether it improves or reduces our prospects of having the continuous care and medicines we need when we come to have a chronic illness. The Graham-Cassidy bill fails this test. It will terminate Medicaid coverage and insurance subsidies for some twenty million people. The entire individual-insurance market will be thrown into a tailspin. Federal protections for insurance coverage will be gone. Every major group representing patients, health-care professionals, health-care institutions, and insurers has come out vociferously against this plan. Governors from Alaska to Ohio to Virginia have opposed the bill. In a highly unusual, bipartisan statement, the national association representing the Medicaid directors of all fifty states has also opposed the bill. The top health official in Louisiana, Cassidy’s home state, has opposed the new plan. There is not a single metric of health or health care that the Graham-Cassidy plan makes better. This bill is a national calamity. It should not even come to a vote. Atul Gawande, a surgeon, and public-health researcher, became a New Yorker staff writer in 1998 and is a best selling author of numerous books. This entry was posted in ACA, AHCA, trumpcare, Uncategorized, Zeldin and tagged atul, gawande, Graham-Cassidy, New yorker. Bookmark the permalink.